Singapore – 15 November, 2018 – Linksys®, celebrating thirty years of networking and WiFi innovation for the home and business, today announced Linksys Cloud Manager, a cloud-hosted WiFi Management Platform purpose-built for small business environments that reduces costs and increases operational efficiencies. The solution offers centralised visibility, management and control of a wireless network without the cost and complexity of traditional hardware controllers, overlay software, or annual hosting costs. Linksys Cloud Manager enables IT administrators and other authorised users to remotely monitor, manage and troubleshoot single or distributed wireless networks in real time via a single dashboard. This plug-nplay platform helps provide secure remote access to Linksys Business Wireless-AC Access Points, which are built with enterprise-grade, high-performance hardware, and is competitively priced with no licensing or maintenance fees for five years*. The included cloud license fits any budget and provides a complete solution for IT solutions providers and their SME customers. The Linksys cloud architecture provides a feature set designed to streamline administration and improve productivity, giving users more control over network uptime and the ability to ensure Quality of Service (QoS) in real time. Comprehensive Centralised Management via a Global Map – Manage multiple, unlimited client WiFi networks around the corner or around the world from one centralised dashboard with a single login. Visibility of all accounts, sites, access points, and devices. Remote Monitoring and Network Insights – Provides alerts and real-time statistics so network administrators can anticipate potential network issues without the need for on-site monitoring and troubleshooting. View through a web browser, historical and real-time traffic on the network, ata-glance analytics about top clients and devices, including uptime, signal strength, connection duration, etc. Built-in troubleshooting tools to identify problems using features such as a Ping Test, Blink LED, RF Environment Scan, and Rogue Access Point Detection. Rapid Deployment with Zero-touch Provisioning – Configure Access Points (APs) even before unboxing them enabling a quick and simple installation process. After deployment, Linksys APs automatically connect to the cloud over SSL and can be configured remotely. Exceptional Warranty Terms and Technical Support – Linksys goes beyond forum and email only support and offers technical support 9AM-9PM daily via phone. Limited resources, constrained spending budgets, and the proliferation of devices and IoT are further complicating wireless networks, and as a result, driving SMEs to move toward network managed services where an IT partner is responsible for the network on an ongoing basis. The migration to cloud-based applications and everything-as-a-service presents a big growth opportunity in the SME space for IT channel providers. 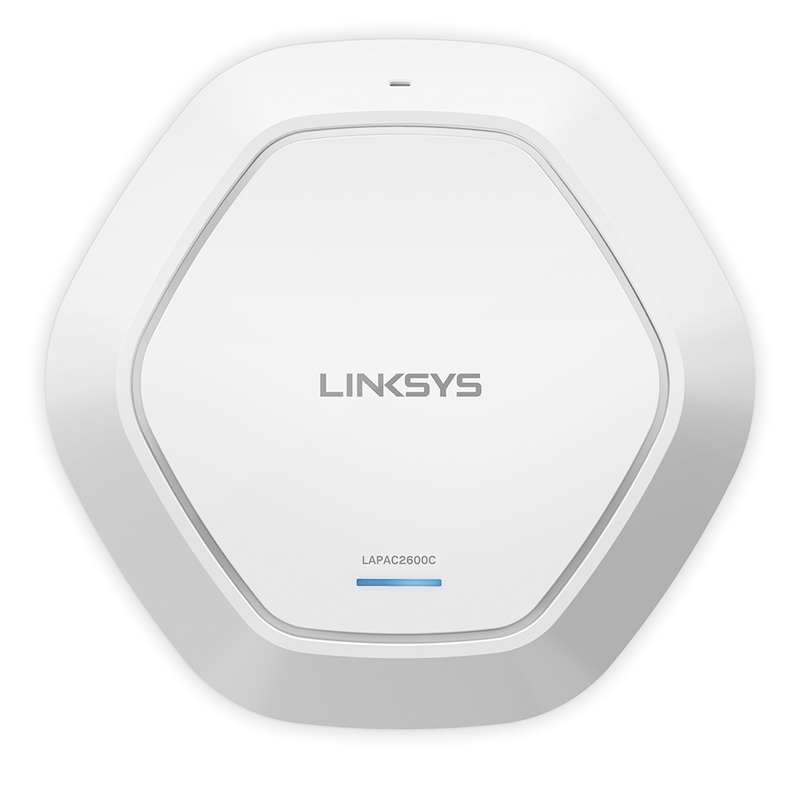 LAPAC1200C: MSRP $205 Linksys Cloud Manager included at no extra cost. LAPAC1750C: MSRP $289 Linksys Cloud Manager included at no extra cost. LAPAC2600C: MSRP $479 Linksys Cloud manager included at no extra cost.